Ladja Beach Resort offers six optional excursions around the attractions of southern Sri Lanka. Discover fragrant secrets in the hills of the island, meet greats on land and at sea, or indulge in the captivating calm of Buddhist monuments. 1. 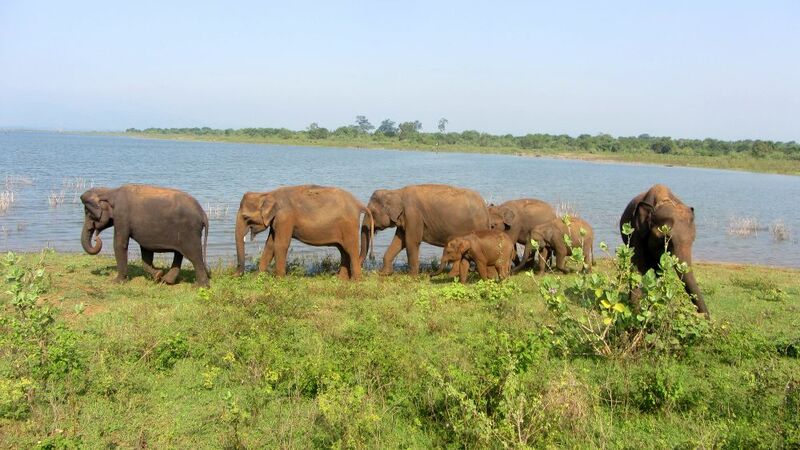 Trip to Wild Elephants - Visit this Uda Walawe National Park with more than 500 wild elephants. Because it is a park of 30 hectares, meeting with elephant herds and living alone is quite certain. Furthermore, wild buffaloes, crocodiles, peacocks, parrots, eagles, chameleons and other animals can be seen. The trip also includes a stop at Sri Bodhirukkaramaya Buddhist Shrine. The price of the trip includes transport to the place, entrance to the national park, transport by off-road vehicles to the park, Czech delegate. Departure from the resort at 12.00, arrival back to the resort at about 19.00. 2. Whale Watching (November to April Only) - As part of this tour, you can observe the largest creatures that inhabit our planet - Whale Whales. They migrate between the Gulf of Bengal and the Arabian Sea in those months, passing the southern part of Sri Lanka. Dolphins, turtles and other water creatures can also be seen along the way from the boat that will take you to them. The trip price includes transport to the port, shipping, insurance, life jacket, local guide, refreshment on the boat, Czech delegate. Departure from the resort at 4.30 am, arrival back to the resort at about 13.00. 3. Tea Plantations Lipton - in this tour you will visit the tea plantations in the highlands, where tea is harvested as in the 19th century, the Dambatenne tea factory, the summit where Sir Thomas Lipton examined his tea plantations, the Lipton Seat Ella, Little Adam's Mountain and Ravana Ella Falls. The trip price includes transport along the route, entrances, refreshments at Lipton Seat, lunch, Czech delegate. Departure from the resort at 5.00, arrival back to the resort at about 17.00. 4. 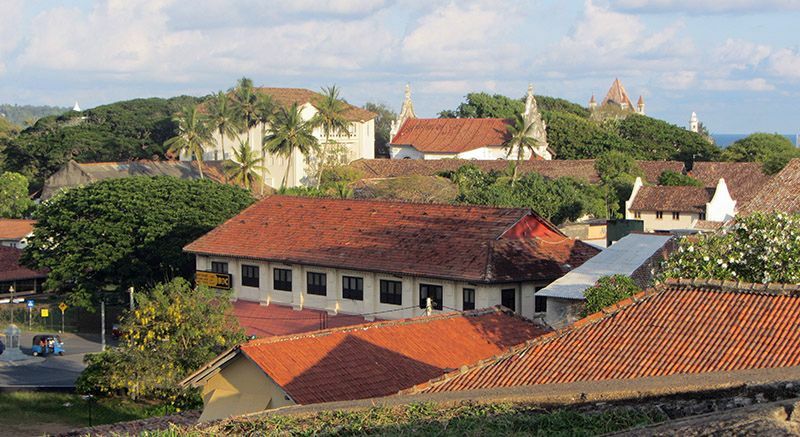 Southwest Coast - Enjoy a water safari with a visit to the Cinnamon Island, you will see semi-precious mines mining moons, turtle farms in Hikkaduwa and the magical historic city of Galle Fort from the time of Portuguese rule. The trip price includes transport along the route, entries, lunch, Czech delegate. Departure from the resort at 6.00, arrival back to the resort at about 18.00. 5. 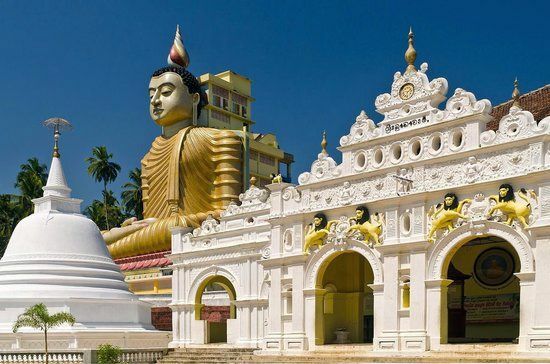 Ambalantota Area - Visit the Mulkirigala Rock Temple, Wevurukannala Temple with the largest Buddha statue in Sri Lanka, Ho-o-maniya Rock Chimney, Tangalle Farmers' Market, ride kayaks along the lagoon between mangroves where you can see the organs and many birds and fish. Departure from the resort at 8.00, arrival back to the resort at about 17.00. 6. River Safaris - River safaris along the Walawé River with many bird and crocodile species watching. The trip is connected with the visit of the temple ruins from the early 5th century Ruhun kingdom. and view of the estuary of the river sailing into the Indian Ocean. The price of the trip includes ship transport and a Czech delegate. When ordering and paying tours before leaving the Czech Republic we will give you a 20% discount.